Among the few Nigerian Actresses on Nollywood who have done tremendously well in terms of their artistic strength and passion is the actress, writer, and producer, Uche Jombo the industry’s A-list personality. Her commitment to acting over the years has naturally thrown her into the limelight, putting her on the list of prominent TV personalities of our time. The Nigerian superstar was born on December 28, 1979, and she hails from Abiriba, Abia State, Nigeria. She has two degrees which she obtained from different universities in Nigeria. Her first degree was in Mathematics and Statistics which she obtained from the University of Calabar. She furthered her university education at the Federal University of Technology, Minna where she also obtained a degree in Computer Programming. While taking her education seriously, the young and vibrant lady had always nursed the passion to become an actress. Life while growing up was a tough one for actress Jombo. She was raised by her mother who enrolled her in their church drama group at a very young age. Even while in her secondary school days, she always received the best drama student award. In fact, the mother’s church had to fund her tuition fee during her years in secondary school. Funny enough, she was always behaving like a boy, playing football with boys or climbing trees with her male peers. 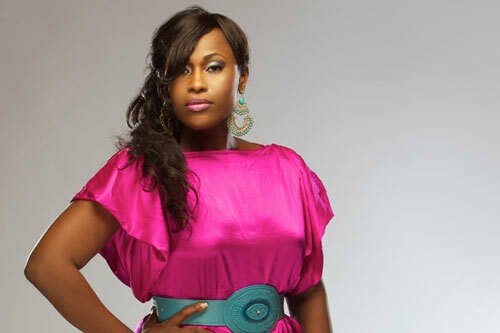 Uche Jombo made her debut as an actress in Nigerian movies in 1999 with the movie, Visa to Hell. For 17 years, the beautiful and talented actress has successfully evolved from an upcoming actress to a leading actress; to a screenwriter and to a movie producer. As an actress, she has featured in over 60 movies. She starred in such hit movies as Games Men Play (was also a co-scriptwriter), Girls in the Hood, A Time to Love, The Celebrity, amongst others. Uche Jombo usually stared in some of her self-produced movies. Such Movies as Nollywood Hustlers, Damage, Holding Hope, Lies Men Tell, Keep my Will, Kiss and Tell, Darkest Night. In all, Uche, courtesy of her production company, Uche Jombo Studios, has successfully executed the production of over 14 movies. She has also done over 20 screenplays. The talented actress, who has a good head for business judging from her productions’ successes, is believed to be one of the richest Nollywood actresses. Uche says that the essence of producing these movies with domestic and human-relations themes is to drive social change in the society. As such, movies like Damage handled the ills of domestic violence. In 2012, the versatile actress featured in Ebony Life TV reality show, Screen Divas alongside other A-list actresses – Rita Dominic, Funke Akindele, and Kate Henshaw. Together the 4 ladies starred in a short movie, New Horizon. The movie directed by Tope Oshin Ogun was a piece that addressed women abuse and domestic violence. On May 16, 2012, the down to earth actress got married to her Puerto Rican spouse, Kenny Rodriguez at a private beach wedding on the Island of Puerto Rico. At a time she was criticised for not making information about her marriage with her new found love public but in reply, she simply said it was an agreement she had with her husband to “savor the moment” Together the couple has a son they named Matthew Chinedu Rodriguez. Uche is one Nigerian actress who literally worked her way to the top. She has made commendable achievements as a Nollywood personality. Among the awards she has won so far includes the Best Actress by AfroNolly Group in 2008 in London, England; Humanitarian Award for Haiti in New York, USA; the 2013 Africa International Film Festival as Best Actress Leading Role and the 2015 Golden Icons Academy Movie Award as Female Viewers Choice of the year. In addition to her awards, she signed an endorsement deal alongside other actresses as an ambassador of the New Nation project at the Dukwe headquarters in Port Harcourt in 2014. She also signed a multimillion naira endorsement deal with the telecom giant GLO in 2013. The actress through her UJ Studios has created employment for talented art-inclined skilled and talented people. In addition, she runs an NGO, Uche Jombo & You. The organization is targeted at helping and nurturing Nigerian youth who are skilled and talented enough to be actors and writers.